Shout! 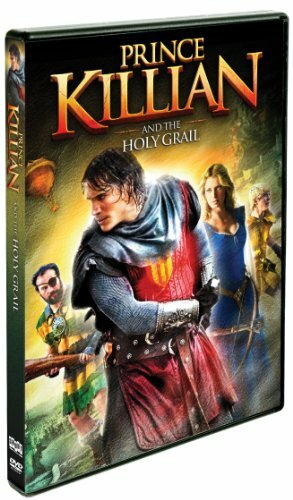 Factory will be releasing the epic adventure Prince Killian And The Holy Grail on DVD on April 29. An action-packed tale of swords and sorcery set in the 12th century, Prince Killian And The Holy Grail is riveting entertainment that brings one of Spain's most popular comic book heroes to life! Starring Sergio Peris-Mencheta (Resident Evil: Afterlife, The Borgias), Natasha Yarovenko (Room in Rome), Manuel Martinez, and Adrian Lamana (The Devil's Backbone), Prince Killian and The Holy Grail is a thrilling experience for fans of epic adventure and classic comics alike. The quest has begun. Heed the call of Prince Killian.